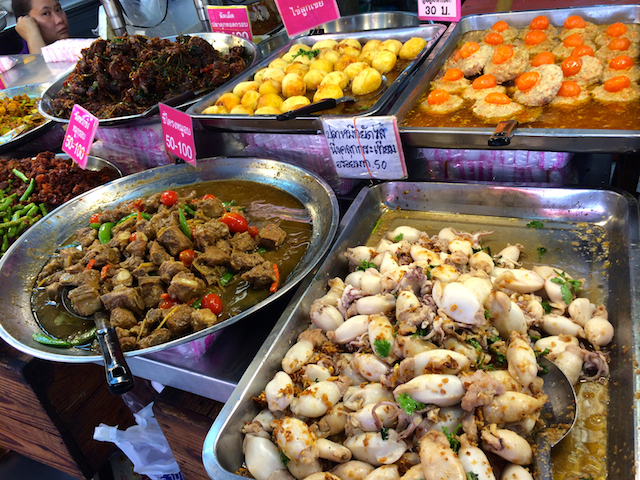 One of the things we love so much about Thailand is the abundance of delicious food everywhere from luxury to basic street food. 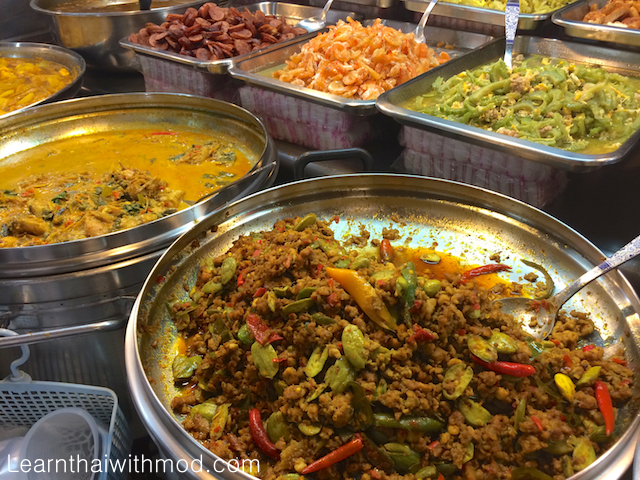 One common way to dine in Thailand is going to a khao Raat Gaeng stall which are everywhere in Thailand. ข้าวราดแกง /kâao râad gaeng/ is what thai call the dishes that are already prepared and ready to eat. You just walk to the vendor, point to the dishes you want and they’ll serve it on top of rice. You can mix several toppings on one plate. 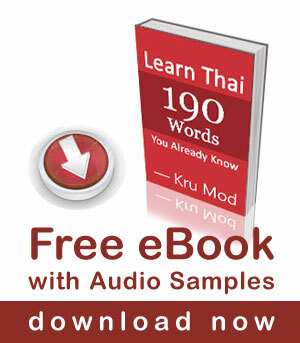 Most Thai people like choose two different dishes per plate of rice. A typical kao rad gaeng dish costs between 20-50 Baht, and it’s a popular choice especially during lunch-breaks when people don’t have much time to sit and wait for food at a restaurant. So ข้าวราดแกง /kâao râad gaeng/ means “cover rice with curry” or to be exact “cover rice with a topping” (doesn’t need to be curry). The nice thing about Khao Rad Gaeng is that it’s a good opportunity to try new dishes and explore flavours you have never tried before with very low price. 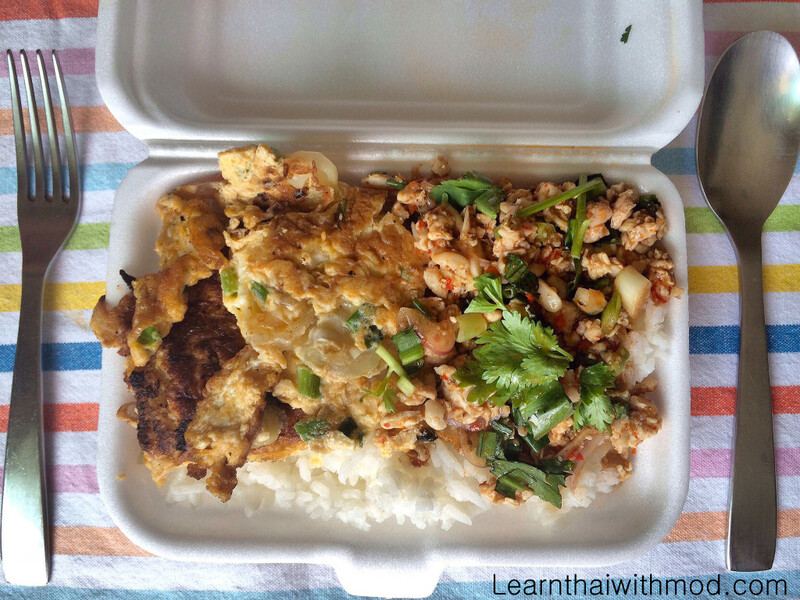 Have you had Khao Rad Gaeng before? Where was the best place you had it? I love u Mod. Can we be friends? Your website is excellent. I love khao raad gaeng very much due to the huge variety and home cooked taste. In Malaysia we also have similar versions called economy mixed rice. I have eaten kaao raad geang on occaision. Always tasty even though I never knew exactly what I was eating most of the time. I often wondered how it keeps being left out in the tropical heat all day ? This thought has more than once got the better of me and altered my decision.